Golden Hat Bingo the Super Jackpot prize in the 90 ball bingo room has crossed the big mark of £1 million. Yes now you have the chance to win prizes above a million. 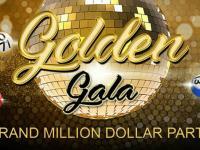 This progressive jackpot seems to be on a rise and if you are waiting to get hold of this big amount then you have an unbelievable chance waiting for you at Golden Hat Bingo. The big wins can be all yours when you bingo a full house in 29 calls. Now from 6 th September, the countdown begins to bingo this big prize as the calls will increase by one number every day till a player wins it. The calls begin with 29 and move on with one number rising every day. Well your dream to be a millionaire seems quite possible now. Rush in soon, any second can be the lucky moment for you. 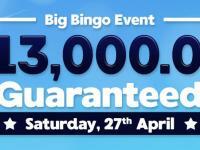 Bingo Mega Event Worth £3000 : – At Golden Hat Bingo, we are always ready with the mega bingo games and mega prizes. Check out this month’s Bingo Mega Event where in for every stake of £10 you can gain an entry to the mega event and also collect 1 coupon. 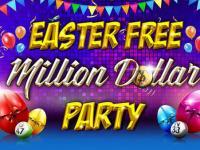 This fun is packed in from the 1 st September till the 15 th November and that too at 8 fun packed bingo rooms. Start collecting your coupons today by making your wagers and enjoy a fabulous opportunity to win prize giveaways worth of £3,000. Magnetic Pull worth £1000 : – The bingo games at Golden Hat Bingo have an unusual magnetic power crammed in to it to pull you in to play bingo quite often. 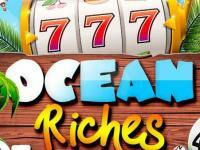 This month you have got something special to keep you intact at the site for long with its fun series of the slot games. We bring you the Magnetic Pull special packed in with the slot specials like Ladies Night, Snow Queen Magic, Ladies Leisure and Lucky Ladies 88 for you to spin and win something exciting. Well this month ten lucky names can each win a Davina Magnetic Cycle worth of £100. You just need to make sure that you wager a £10 in the games and automatically win your place in the lucky draw. Happy bingoing for the healthy winnings!!! Lucky Fiver Worth £500 : – From 6 th to 12 th September, Golden Hat Bingo unfolds the wins in its game special, Max’s Hi/Lo. Discover the fun by simply giving a guess to the next number coming up in the game. Giving the right guesses you can win the jackpot prize fixed in this game. Golden Hat Bingo is also ready with some extra prizes like bingo bonus that are filled in the bingo bonus bags. Make sure to wager a £5 in the games this week and you can get lucky to be chosen in the lucky draw to win bingo bonus prizes up to £500. 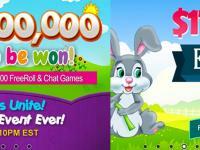 Top 20 players can get lucky to win the free bingo bonus prizes. Bonus Rollover : – Rush in soon to give a spin in the Clover Rollover games at Golden Hat Bingo and you have the big wins and lots of bingo bonus prizes spinning back to you. By simply making a stake of £1 you can win up to £25 bingo bonus as cash back on the losses incurred. Every single week you can get back up to £25 and even lucky to win £25 bingo bonus. Get going to spin and spin all day long and enjoy watching the lovely Irish symbols. Back to School : – All kids seem to have packed off their bags and all ready waiting to jump off to the schools. Well, while the kids are away, all the wonderful Moms have something fun to bingo online in the Back to School promotion. This special fun sets in from the 1 st September till the 5 th September with bingo prizes that all Moms would love to have. There is £200 worth of WH Smith vouchers for 10 winners to take away. Win it all by joining in to play bingo with a minimum wager of £10 in the games. To join in for the lucky draw. Ten lucky players can each win a WH Smith voucher worth of £20. Good luck to all the Moms to start off with something exciting at Golden Hat Bingo! Restore the Bonus : – We bring you something special stocked in at the Bingo Makeover Room from 1 st till 5 th September. 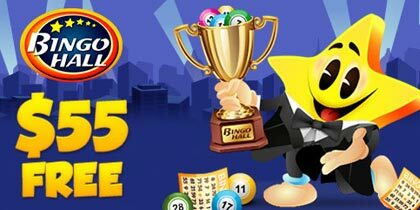 You have the fun of 75 ball bingo games to the core and enjoy lots of cash back for your losses. 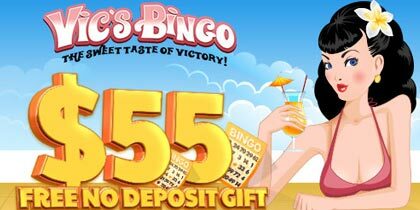 Playing bingo in this week you can enjoy 10% cash back for your losses. There is up to £1,000 bingo bonus prizes ready to flow into your account this month. Make sure you lay your hands on the bonus prizes at this bingo room. Playing bingo in this room also adds to give you the fun of free bingo play for one hour and also the guaranteed prize of £1,000 to win every day. 3. At 2230hrs you can win guaranteed £4000 for just £0.50. 25 % Redeposit Bonus Everyday: 25% redeposit bonus everyday! This is on top of 100% Welcome Bonus and £1 Free Sign Up Bonus.